Food and drink happenings in Adelaide and beyond, including a dinner with McLaren Vale women winemakers at Level One, a pizza party at Longview, a pop-up wine event at the Market Shed on Holland, and a French cuisine Christmas cooking lesson. Level One will host its latest Women in Wine event on December 12. McLaren Vale will be the focus of this month’s Women in Wine event at Electra House’s Level One restaurant, with guest winemakers Corrina Wright from Oliver’s Taranga, Vanessa Altman from Switch Wines, and Gill Gordon-Smith from Fall from Grace. At the $75pp dinners, each winemaker matches one of their wines to a course from Level One’s modern Asian shared-plates menu, with the meal followed by a Q&A session. After a sold-out launch party in October, the Adelaide Wine Markets returns to the Market Shed on Holland this month. The pop-up event, which has a stated mission to “connect wine lovers with some of the best small and boutique producers from all over South Australia”, will offer wine, gin and cider tastings from 5-10pm, with food stalls and live music. Tickets are $20. 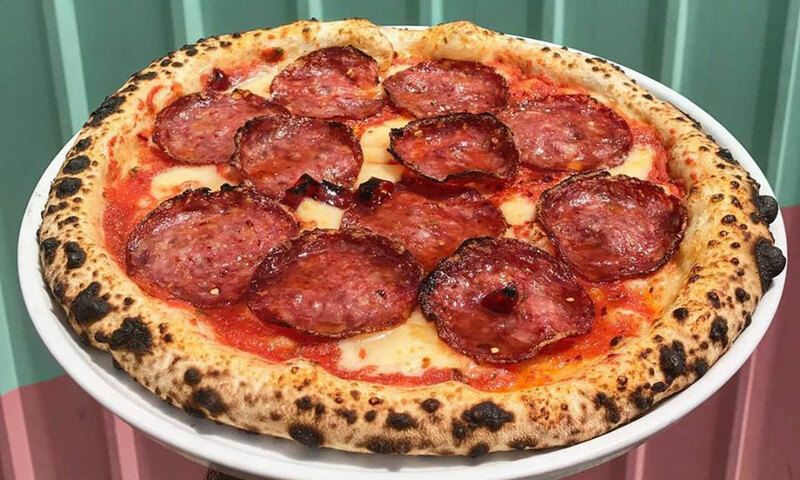 V Mitolo and Sons’ Pizzateca from McLaren Vale will be taking over the wood oven at Macclesfield winery Longview for this party, serving up a range of pizzas including its popular Diablo (with salami and house-made chilli honey, pictured above), Margherita and vego/vegan options. There will also be antipasto and zeppole from La Dolce Vita Catering, a Limoncello bar, Longview wines (of course) and a DJ. Details here. Stamford Plaza Adelaide’s Aladdin-themed high tea should whet appetites for the lavish Disney musical bound for Adelaide next year. The hotel promises “a magicial afternoon where wishes come true”, with savoury and sweet treats, plus entertainment. Bookings are essential; $52 for adults and $27 for children aged five to 12 (under fives free). There is also another Wizardry High Tea planned for January 19 and 20. Details for both events here. Chef Bernard Raoux of Adelaide Central Market shop Les Deux Coqs will share the secrets of several traditional French Christmas dishes at this class at the market. Participants will prepare three recipes: snails and mushroom mille-feuille, poultry with chestnut and truffle French white sausage stuffing, and a chocolate yule log. The cost, including a free glass of wine, is $120pp. Details here. Presented by Leconfield and Richard Hamilton Wines, Syn at Sunset is celebrating its 10th anniversary on December 27 with music; Old School Bus toasties, smoothies and coffee; Leconfield regional platters; picnic boxes; Leconfield, Richard Hamilton and Syn wines, and Vale Ale beer. Lavish Lawns at Beresford Wines. 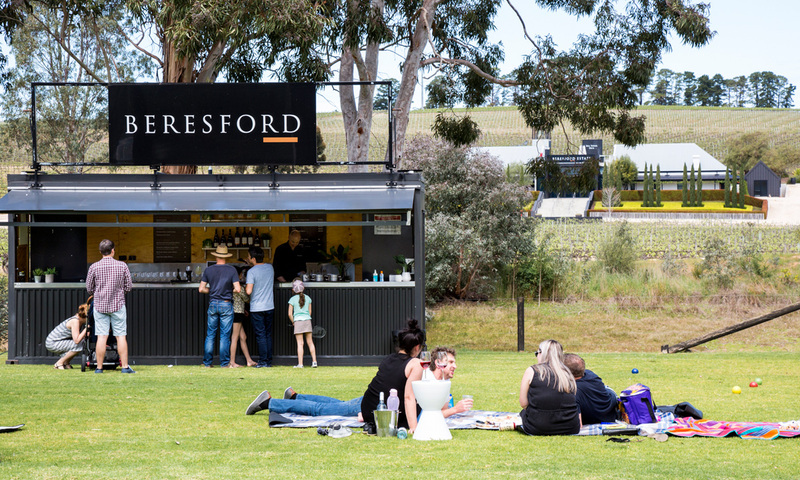 This is a monthly event over summer at Beresford Wines in Blewitt Springs Road, with the next one scheduled for January 6. Lavish Lawns serves up food, wine, premium cocktails and craft beer from a pop-up bar, along with live entertainment, vineyard tours on the Beresford Wine Cart and masterclasses. Hosted by the Adelaide Festival Centre, the French Festival includes some tasty food and wine events alongside the line-up of live music, theatre, dance and fashion. Bon Vivant will see Breton chef Nathalie Beavuais from Le Jardin Gourmand create a $150-a-head French seafood dinner showcasing the flavours of Brittany in the centre’s Banquet Room on January 12, while Adelaide’s Zephyr Quartet will team up with The Smelly Cheese Shop for a sensory experience, pairing cheese, wine and music at an $80 Sonic Seasoning event on the Dunstan Playhouse stage on January 13. Gresham Street small bar La Buvette Drinkery will host a French spirits masterclass, and a taste of French food and wine will be available on the Riverdeck Hub throughout the festival. See the full program here. The summer session of Tourism Barossa’s seasonal celebration of wine and food experiences will take place in January, with events including a “Barossa blend challenge” at 1918 Bar & Grill, where guests can taste and vote on 10 different GSM blends. Other participating venues include Rosenvale Vineyards, The Greenock, Chateau Yaldara, UBERTAS WINES, Lindsay Wine Estate, and the Gawler and Barossa Jockey Club. Keep an eye on the website for more details. Crush at Mt Lofty Ranges Vineyard. 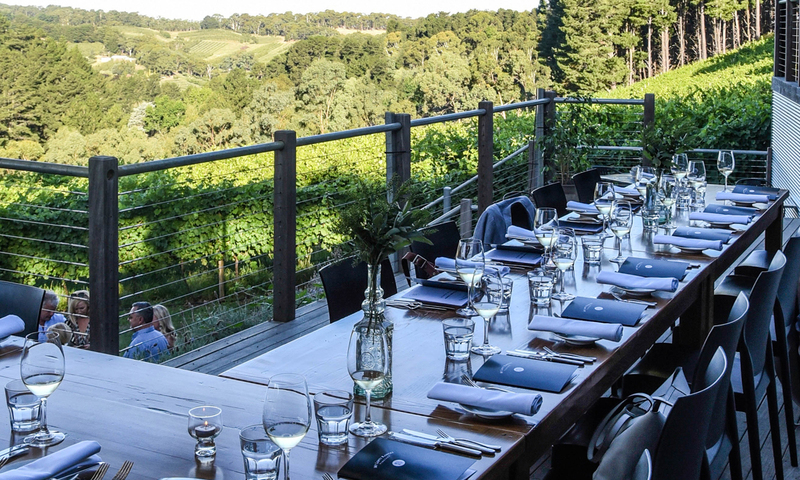 More than 30 wineries will be hosting events ranging from picnics, garden parties and live music sessions to long lunches, degustation dinners and a dessert night for the Adelaide Hills’ annual summer fling. A few ticketed highlights include a 30th Vintage Celebration Dinner at Shaw + Smith, The Big Crush – al fresco tomato sauce making at Somerled (followed by a long-table lunch), a Long Table Southern Style Seafood Feast at The Lane, the Toffs & Tails five-course dinner with matching wines and swing music at Mt Lofty Ranges Vineyard, and Shakespeare in the Vines at Deviation Road. View the full program here. The Best of Adelaide Brewers Festival is coming to The Flour Shed Port Adelaide in the second weekend of Feb, promising a top line-up of beer and gin, as well as wines, cider, food vans and live music. There will also be brewers on site talking about their craft, plus a judging panel to pick “the best of the best”. The beer will be flowing from the Friday evening, with the festival continuing across Saturday afternoon.